Sydney Opera House (1957 – 1973) is a masterpiece of late modern architecture. It is admired internationally and proudly treasured by the people of Australia. It was created by a young architect who understood and recognised the potential provided by the site against the stunning backdrop of Sydney Harbour. 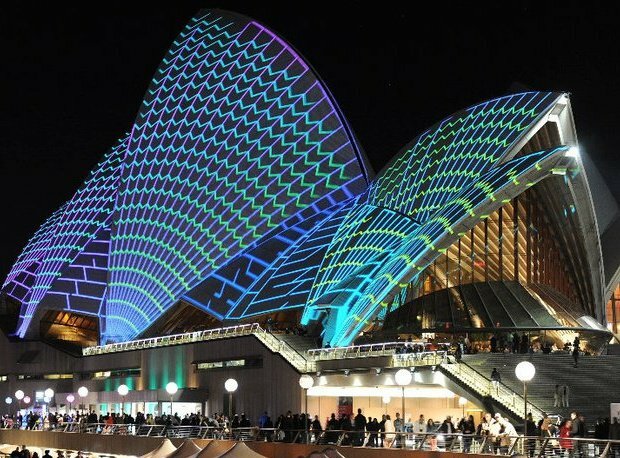 Denmark’s Jørn Utzon gave Australia a challenging, graceful piece of urban sculpture in patterned tiles, glistening in the sunlight and invitingly aglow at night. Jorn Utzon died in Copenhagen in November 2008 aged 90. 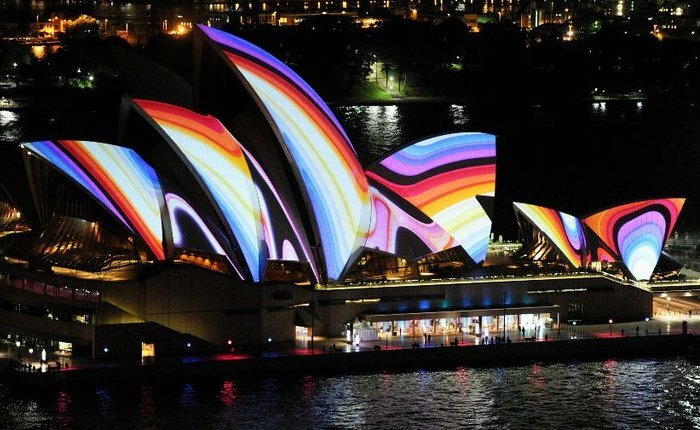 In its short lifetime, Sydney Opera House has earned a reputation as a world-class performing arts centre and become a symbol of both Sydney and the Australian nation. The vaulted roof shells were designed by Utzon in collaboration with internationally renowned engineers Ove Arup & Partners with the final shape of the shells derived from the surface of a single imagined sphere. Each shell is composed of pre-cast rib segments radiating from a concrete pedestal and rising to a ridge beam. The shells are faced in glazed off-white tiles while the podium is clad in earth-toned, reconstituted granite panels. The glass walls are a special feature of the building, constructed according to the modified design by Utzon’s successor architect, Peter Hall. The history surrounding the design and construction of the building became as controversial as its design. In 1956 the NSW Government called an open-ended international design competition and appointed an independent jury. The competition brief provided broad specifications to attract the best design talent in the world; it did not specify design parameters or set a cost limit. The main requirement of the competition brief was a design for two performance halls, one for opera and one for symphony concerts. Reputedly rescued from a pile of discarded submissions, Jørn Utzon’s winning entry created great community interest and the NSW Government’s decision to commission Utzon as the sole architect was unexpected, bold and visionary. Design and construction were closely intertwined. Utzon’s radical approach to the construction of the building fostered an exceptional collaborative and innovative environment. The design solution and construction of the shell structure took eight years to complete and the development of the special ceramic tiles for the shells took over three years. The project was not helped by the changes to the brief. Construction of the shells was one of the most difficult engineering tasks ever to be attempted. The revolutionnary concept demanded equally revolutionary engineering and building techniques. Baulderstone Hornibrook (then Hornibrook Group) constructed the roof shells and the interior structure and fitout. 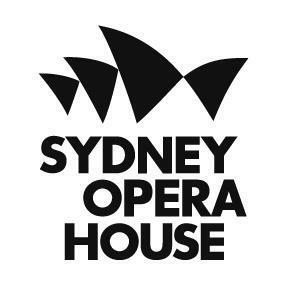 At the behest of the Australian Broadcasting Commission (ABC) the NSW Government changed the proposed larger opera hall into the concert hall because at the time, symphony concerts, managed by the ABC, were more popular and drew larger audiences than opera. Cost overruns contributed to populist criticism and a change of government resulted in 1966 to Utzon’s resignation, street demonstrations and professional controversy. Peter Hall supported by Lionel Todd and David Littlemore in conjunction with the then NSW Government Architect, Ted Farmer completed the glass walls and interiors including adding three previously unplanned venues underneath the Concert Hall on the western side. Opened by Queen Elizabeth II in 1973, new works were undertaken between 1986 and 1988 to the land approach and Forecourt under the supervision of the then NSW Government Architect, Andrew Andersons, with contributions by Peter Hall. 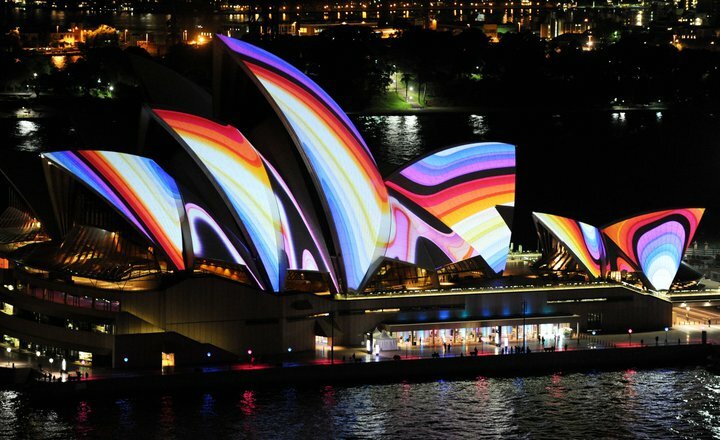 In 1999, Jørn Utzon was re-engaged as Sydney Opera House architect to develop a set of design principles to act as a guide for all future changes to the building. These principles reflect his original vision and help to ensure that the building’s architectural integrity is maintained. Utzon’s first major project was the refurbishment of the Reception Hall into a stunning, light filled space which highlights the original concrete ‘beams’ and a wall-length tapestry designed by him which hangs opposite the harbour outlook. Noted for its excellent acoustics, it is the only authentic Utzon-designed space at Sydney Opera House and was renamed the Utzon Room in his honour in 2004. This project was followed by the first alteration to the exterior of the building with the addition of a new Colonnade along the western side, which shades nine new large glass openings into the previously solid exterior wall. 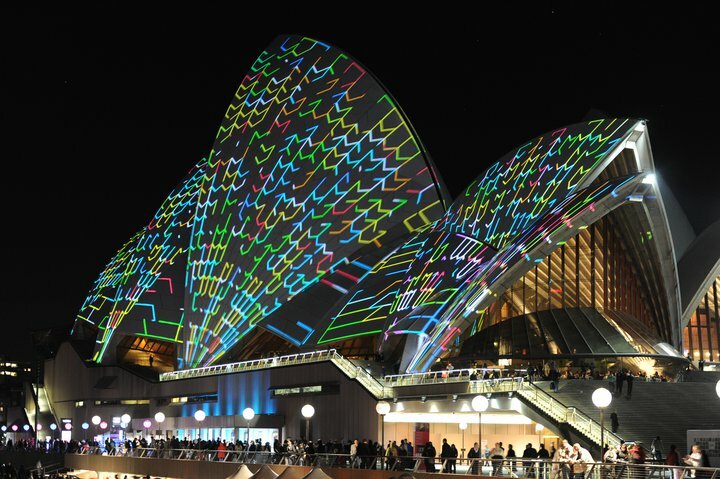 This Utzon-led project, which was completed in 2006, gave the theatre foyers their first view of Sydney Harbour. The foyers’ interiors are now being renovated to Utzon’s specifications, to become a coherent attractive space for patrons. The design also incorporates the first public lift and interior escalators to assist less mobile patrons. Utzon was working on designs to renovate the ageing and inadequate Opera Theatre. On all projects, he worked with his architect son Jan, and Sydney-based architect Richard Johnson of Johnson Pilton Walker. In 2003 Utzon received the Pritzker Prize, international architecture’s highest honour.